Infinite Justice Gundam is the new MS that was developed with the Strike Freedom Gundam. The color scheme reminds us of the old Justice Gundam with its “red” color. The whole frame is equipped with powerful armaments and is able to unleash various attacks regardless of the distance. Also the backpack lifter is removable and it is taking on a role to broaden its tactics. 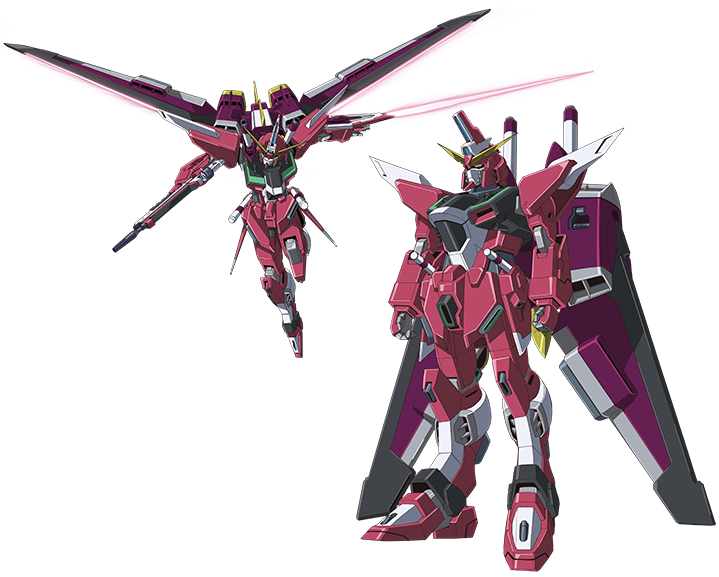 This unit is piloted by Athrun Zala.